Investors interested in regional assets will have the chance to pick up one of Tasmania’s largest farms, Rushy Lagoon, a 21,861-hectare site in north-east Tasmania. The owner New Zealand “spud king” Allan Pye, acquired Rushy Lagoon in 1997 and expects an end sales price of $65 million having expanded the holding with the acquisition of adjoining properties Red Hills and East Wyambie. 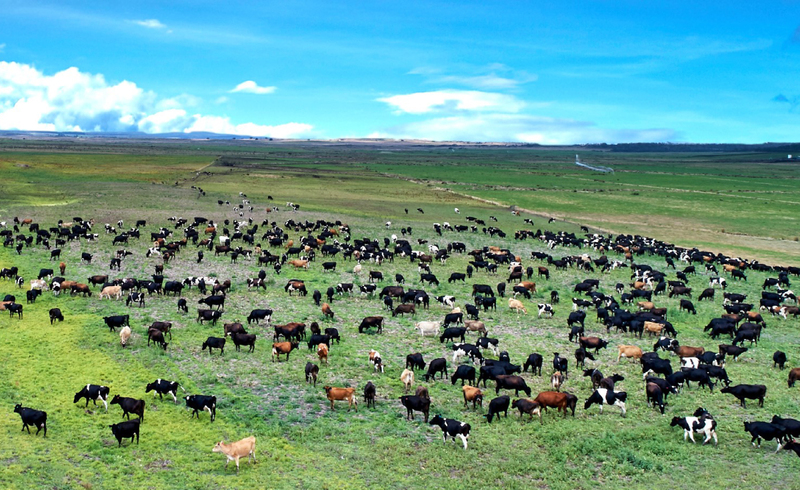 The expansive holding features four dairies – supported by 1000-hectares of centre pivot irrigation – milking 4000 cows. The other livestock operations utilise approximately 7000-hectares of arable pasture in conjunction with a further 7000-hectares of grazing country to run 7,000 head of beef cattle and 7,000 sheep. CBRE Agribusiness’ Danny Thomas said the opportunity to acquire such a large scale, well-developed irrigated asset in a premium farming area like north-eastern Tasmania would generate strong buyer interest from domestic and international investors alike. “The vendor has strategically acquired and developed a first-class asset of international significance. “Rushy Lagoon will reward future investment in irrigation and pasture development to enable significant intensification with a huge uplift in carrying capacity,” Thomas said. Rushy Lagoon is offered for sale on a walk in/walk out basis, inclusive of land, structures, water licenses, plant & equipment and planted crops. Rushy Lagoon, which receives average rainfall of 750 millimetres per year, benefits from significant water entitlements (6865ml) coupled with on-farm water storages (4295ml), operational infrastructure, productive soil types, and numerous structural improvements, including a 20-stand shearing shed.